Since it’s inception in 2009, Kickstarter has drastically changed the startup scene – barriers to entry have lowered, creativity has flourished, and consumers and entrepreneurs alike have benefited immensely. Just recently, Kickstarter reached $1,000,000,000 in pledges; Kickstarter campaigns have now become ‘mainstream’ and are more feasible to budding entrepreneurs than ever before. 1. Launch on a Monday. Seems random, right? Consider this: on average, 40% of your backers come directly from Kickstarter. They are serial backers who regularly visit Kickstarter and peruse through projects in their favorite categories. Now, keep in mind that each category has hundreds of projects, and these serial backers are only going to look through the first 20 or 30 projects—if you’re in the middle of the pack, these serial backers aren’t going to discover you. So, how do you stay at the top? Momentum. Prefundia recently replicated what very well may be Kickstarter’s algorithm. In short, Kickstarter weighs the number of backers per day, percent funded, and the amount of funding per day (in that order). The first few days of your campaign are crucial to maintain momentum, so make them count! We made the mistake of launching on a Friday night, literally the worst time possible. Our friends, families, and evangelists, essentially our core, were not sitting at home on their laptops; they were out of the house. As a result, backers trickled in over the next few days, and it was an uphill battle to get back on top. Launch your project on Monday morning, a time where everyone is at their computer and ready to pledge. You’ll have an explosive first few days, and this momentum will keep you at the top, where serial backers are most likely to find you. 2. Download Streak. Before you launch your Kickstarter campaign, you should have compiled a massive media database, containing the contact information of relevant blogs and media outlets that are potentially interested in your project. In most cases, you will have to cold email writers; Streak will notify you when the writer has opened your email (and ignored it) or if the writer hasn’t seen it yet (and you should try again). 3. Project Limbo. 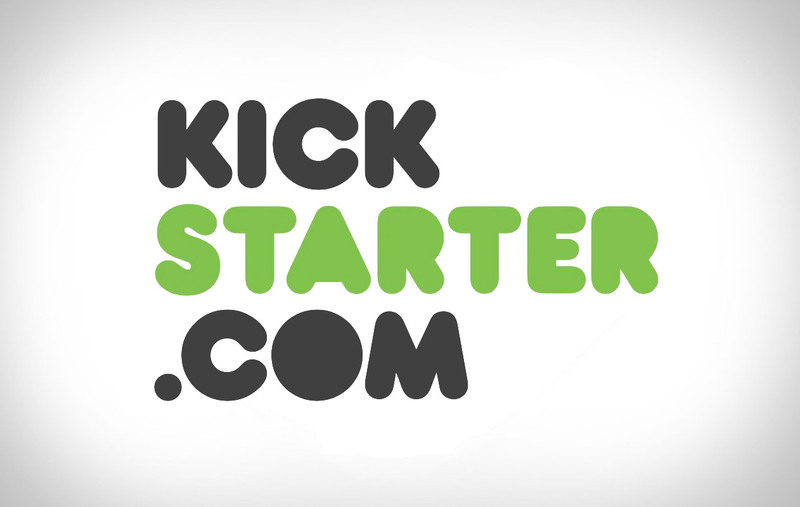 Kickstarter allows you to create your campaign without launching—it will appear exactly like a regular campaign, but it won’t show up in searches and backers cannot pledge. This will give bloggers a preview of your campaign and also allow for feedback before you go live. 4. Experiment with different titles. Kickstarter will allow you to change the project title, and even thumbnail, during the campaign. If your initial title or thumbnail isn’t getting the attention you hoped, try changing it. When you have 48 hours left, be sure to advertise this in your thumbnail. 5. Back a few Kickstarter projects. The reason is twofold: first, it’s important to give back to the community that is helping you realize your entrepreneurial goals, second, you need to understand the backer experience. Is backing your project simple and straightforward, or is it going to bewilder and discourage would-be backers? 6. Don’t try to game reddit. Several subreddits are a great resource for feedback and funding, but they’ll scrutinize your history and know immediately if you’re just looking for some quick funding. Create an account today, regularly provide good content to relevant subreddits, and when the time comes, post your project. If you’re unfamiliar with reddit, read this. 7. The 31-Day Campaign. The correlation between campaign length and success has been studied extensively and studies conclude that a 30-day campaign is ideal. However, when you start your 30-day campaign, it will appear as 29 days, one day fewer than you desired. This occurs because the number of hours (in this case, 23) isn’t shown until there are 3 days, or 72 hours remaining. At this point, the countdown will convert from number of days to number of hours. 8. Get a proper email address. Instead of yourprojectname@gmail.com, opt for contact@yourprojectname.com. Simply purchase your domain name (something you should have already done, since you made that landing page a few weeks before your campaign, *cough*) and add a few email addresses. 9. Create a press kit. Getting press will be challenging enough, so when a media outlet reaches out to you, be prepared! Learn to create a press kit here. 10. Always go with Free shipping FREE Shipping. Behavioral economics has proven that words like “FREE” entice consumers, even when it is coupled with a higher price. More on the subject here. 11. Download the Kickstarter App. This app has accurate analytics that are easy to understand. And, it’s free! 12. Use Facebook Graph Search to find connections you didn’t know you had. Want that coveted Gizmodo coverage? Well, you may have a friend, or more likely, a friend-of-a-friend, who works there! Utilize Facebook Graph Search to find them, simply search “people who work at Gizmodo” and your most relevant connections will appear at the top. Repeat this for all relevant media outlets. 13. Keep reward tiers simple. The more complicated and numerous the reward tiers, the more backers you will lose to choice overload. Typically, it is best to have four or five reward tiers. A $1-$5 reward offering a social media shout out or thank you note. This will increase your backers and improve your ranking. A reward tier for your actual product. A reward tier for a limited Kickstarter edition of your product. A reward tier for a launch party + limited Kickstarter edition of your product. Extra: Multiples of your product; signed prototypes; customized version of your product; and Early Bird specials. 14. Release an update to backers who bounced payments immediately after your campaign. About 5-10% of your Kickstarter pledges will bounce—backers either had insufficient funds or expired information. Kickstarter will allow you roughly two weeks to get in touch with these backers and collect funds. Get on it early! 15. Templates, Templates, Templates. Create templates for each category you plan to contact. Your email to that startup blog should not use the same template as the Facebook message to your high school buddy, or even that industry-related blog. Try to personalize each template based on the audience. 16. Check out Thunderclap.it. This cool platform amplifies your reach on social media by releasing your message simultaneously. 17. If you can’t get any leads from Facebook Graph Search, befriend bloggers. This is a delicate courtship that can take months. Try to provide bloggers with something useful (news tips, comments, corrections, etc.) and create a natural dialogue. Only after you’ve extensively helped a blogger and formed a relationship can ask for coverage. 18. When deciding your launch date, consider Google Trends. If you have a non-seasonal product, such as razor blades, Google Trends will show you when that keyword is searched, roughly correlating to demand.